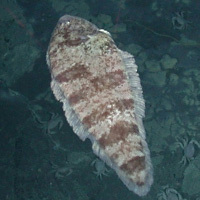 Tonguefish or sole fish is commonly found in high-class French cuisine as well as Japanese sushi. There are said to be around 30 different kinds of sole fish inhabiting the waters surrounding Japan. It is low in calories while serving as a good source of vitamin B12 and niacin. The calories in Tonguefish per 138g(1fish small edible part) is 132 calories. Tonguefish is calculated to be 96Cal per 100 grams making 80Cal equivalent to 83.33g with 26.5g of mostly protein、2.21g of fat、0g of carbohydrates in 138g while being rich in vitamins and minerals such as Vitamin B12 and Vitamin D.